Columbia University has been collecting rare Hebraica and Judaica for over 120 years. In 2012, Columbia mounted a major exhibition of the Hebraica and Judaica manuscripts entitled The People in the Books, which shows the broad and deep scope of the collection. 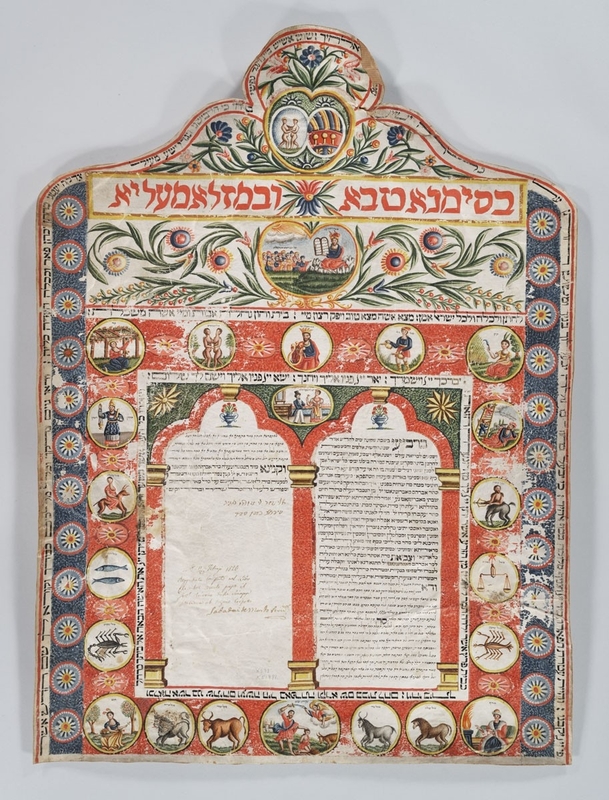 Columbia’s Hebrew manuscript collection is one of the largest of its kind in North America, containing more manuscripts than the combined holdings of Harvard University, Yale University, the Library of Congress, and the University of Pennsylvania. At this time, there are over 1500 records in CLIO, Columbia’s online catalog, for the Hebraica and Judaica manuscripts in our collection. The manuscript collection is very diverse, covering many different times and places. The manuscripts span the 10th – 19th centuries. Many originate from Italy, but other places of origin include France, Greece, Persia, Yemen, North Africa, and the Netherlands. It also includes one of the most important collections for the study of Byzantine Jewry. About 250 of our manuscripts are available for browsing and download at the Internet Archive, and over 1400 of our manuscripts are available for viewing only at the National Library of Israel's KTIV: The International Collection of Digitized Hebrew Manuscripts. Topics include philosophy, kabbalah (including some early works and many manuscripts from the Lurianic school), liturgy (prayerbooks and mahzorim), Jewish law, Rabbinic texts and related commentaries, poetry, Bible and its exegesis, responsa, letters from individuals and communities, historical documents, Ketubot (marriage contracts), documents from the Cairo Genizah and other general literature.